Cloud computing brings critical convenience to our work and personal lives, but with that convenience comes security risks and challenges. These 6 tips offer some basic hygiene for cloud data protection that end users and businesses alike should follow. 1. Perform regular data backups. No matter how reliable the cloud might seem it’s always a good idea to back up your data somewhere else. At the very least, regular backups ensure that your valuable data won’t be permanently lost in the event of a data breach or other data theft incident. Encryption is one of the most effective ways to secure your data. By encrypting sensitive data you ensure that your information is readable only by intended parties (only those with a decryption key). Simply encrypt a file prior to uploading to the cloud and you’re good to go! 3. Use cloud services that encrypt your data by default. Different cloud service providers offer different options for data storage and handling. 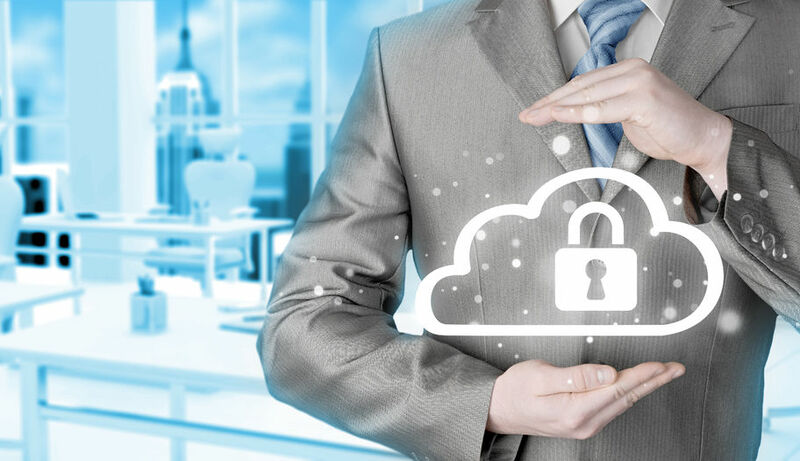 Finding a cloud storage service that provides automatic data encryption means that anything you share or store with that provider will be safe. This is a good option for users that want to encrypt all of their data in the cloud as opposed to encrypting on a case-by-case basis. 4. Carefully read the terms and conditions of your cloud service provider. Some cloud services allow you to share your data through them with others. Some cloud service providers don’t advertise that they might have the right to use the content you share on the cloud. Make sure to read a provider’s terms and conditions and scrutinize their data protection policies before using their services! 5. Create a strong password. Strong passwords are a critical component of good security hygiene, and cloud security is no different. Passwords should be unique and complex to ensure that malicious actors can’t guess them or reuse compromised passwords from your other accounts. Change passwords regularly or in the event of an account compromise. Use cloud service providers that offer two-factor authentication where possible. 6. Use anti-virus and anti-spy. No matter how secure your cloud might be, your data could still be at risk if the device or files you’re using are infected with malware. Run anti-virus and/or anti-spy software to make sure that you aren’t inadvertently downloading malware from the cloud or exposing data to malware on your device. 1. Perform regular data backups. 3. Use cloud services that encrypt your data by default. 4. Carefully read the terms and conditions of your cloud service provider. 6. Use anti-virus and anti-spy. When it comes to cloud models, there are a lot to choose from: SaaS, PaaS, and IaaS. What's the difference? How do you choose? Discover the benefits and features of all three in this breakdown.